Who are you? Peter Clement – Bullett and I own, make cakes and am the waiter at ‘The Mad Hatter Tea Rooms’ exclusively open on Saturdays only in the old town of Margate. 11.30 am – 5.30pm. Why Margate? I was born in Cliftonville in my Grandparents small hotel opposite the Lido. I love the sea and the beaches here and I love Margate because it’s not too big a town – so everyone knows everyone. How do you define Style? Style is a state of being different and even exciting but remaining smart and attractive. This can apply to clothes and décor. First Margate Memory? One of my first Margate memories is exploring the bombed out shell of holy trinity church in trinity square on my own aged 8. I’ve always been quite adventurous and fearless. I wish the landmark tower of the church had been retained. What couldn’t you live without? I couldn’t live without music – my musical tastes range from JLS to opera, from 1930’s band music to 1980’s disco. I also like Jazz and even country and western – and heavy metal! What is your favourite thing about Christmas? Christmas trees and all of the coloured lights and tinsel that go with them. What would you buy if you won the lottery? One of the really big hotels in Margate or Cliftonville and create a magical 5 star over the top, but beautiful hotel. Best advice you have been given? By my father when I was 17. He said people would sometimes be jealous of me (as they were of him) and he said I should always avoid those people. I have taken his advice. Do you celebrate Christmas all year round? 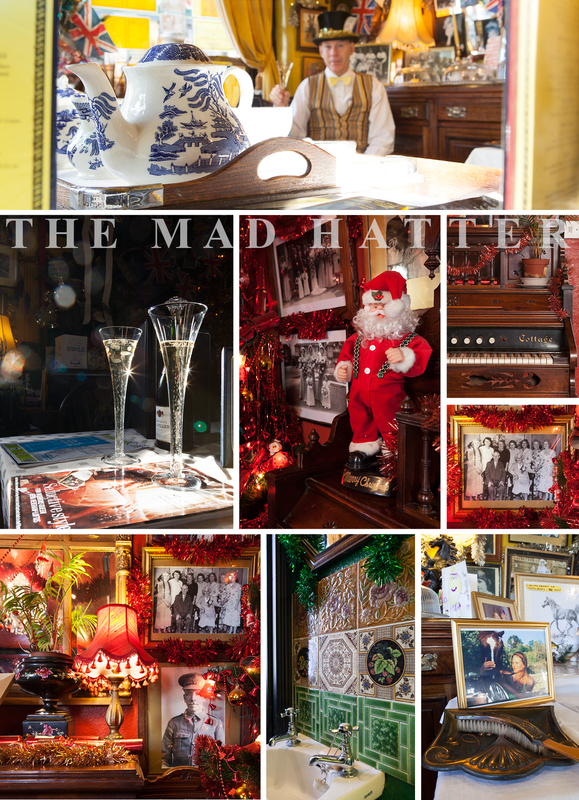 Yes I do in the fact that I never take the Christmas trees or decorations down (they have been up in ‘The Mad Hatter’ for 17 years) and I also drink champagne throughout the year – which is really a Christmassy drink. Will you be watching the Queens speech this year? I think the Queen is absolutely wonderful so I hope I will be allowed to watch it this year! What would be your ideal Christmas party (venue, house band etc)? Non stop dancing in fancy dress at the Winter Gardens, with lots of champagne, to music from the 1950’s to present day (and also 1930’s and 1940’s music, so that I can dance with my friend Gladys who is 99 years old – her husband (aged 100) doesn’t mind us dancing together! Favourite part of the Christmas Meal? My favourite part of the Christmas meal is to be with my sister, niece and my sister’s husband and family. I am not interested in food at all but its good to be with the people you want to be with. Sprouts – Good or Evil? I only like eating healthy food, and sprouts come under that category – so its good to eat sprouts. What is your favourite festive song or carol? I hate carols (I’m not religious) but I like ALL Christmas songs – I haven’t got a favourite. What Christmas gift did you want but never got when you were a child? I had a wonderful childhood and got all the presents I wanted – usually books – yes, at the age of 8 or 9, as I loved reading. So I was never disappointed. What would you like to find under the Christmas tree this year? I’m going to be serious and a bit sad now. Under the tree this year I would love to find my beautiful girlfriend Dinah who died over 2 years ago of cancer. She could then join us for Christmas dinner and life for me would be complete again. In a Christmas Fantasy land – who would be the famous figures, past and present, at your dinner table and why? Marilyn Monroe, Princess Diana, Gandhi, Nelson Mandela, Queen Elizabeth II, D.H Lawrence, Tolstoy, Nicholas II of Russia – as I think they are all outstanding personalities – oh and Prince Harry because he is Naughty and fun. What have been the highlights for you from 2012? The Queens Jubilee and the Olympics, and personally, lying on the beach (completely naked) in Tenerife in January with the sun blazing down, and lying on the beach (completely naked) on the nudist beach at Botany Bay in August with the sun blazing down. I then forget all problems and think of almost nothing! Any new years resolutions? To have a really fun 2013. If you were an animal what would you be? I would be a peacock, so I could strut around and show off my feathers. Or I would be a cat as I think they can have a wonderful life if they are lucky enough to be pampered by their owner. Why Yellow? I dress in yellow and have yellow in the house (everything in the house is yellow as well) because I think yellow exudes warmth and fun and of course represents summer and sunshine – The things I love. 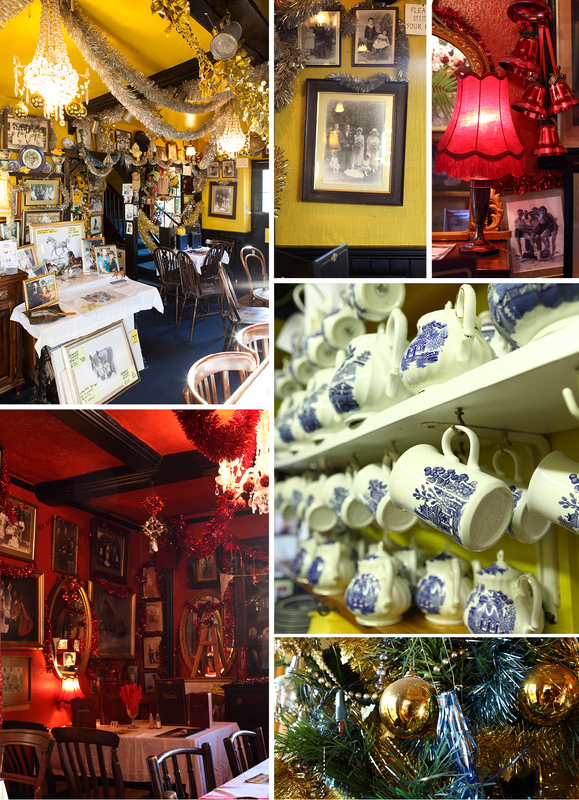 ROUND-UP: Peter’s café, like the man himself, is Flamboyant, eccentric, incredibly interesting and full of stories. The Victoriana interior is covered in photographs of Peter’s very large family, collected and handed down through generations. Patriotic memorabilia, bunting, and Christmas decorations cover every wall and surface. This interior is a reflection of a larger than life personality, his life, family, and years of memories. A very Personal touch.